Over the past 10 years we have seen an increase in many new innovative ways to strengthen muscles. One exercise that has gained vast popularity is the barbell hip thrust; but is it effective for muscle activation, hypertrophy, and strength gains and does it correlate to athletic performance enhancement? This and more will all be covered in this throughout this post as we dive into the anatomy and kinematics of the hip thrust, reasoning for how and why to use the hip thrust, and how it compares to other full body lower extremity exercises. When thinking of training movement for higher-level athletes we have to incorporate sport specific training motions. One way of doing this is by using the “force vector training theory”. Which is based on the principle that the most sport specific muscular adaptations and movement enhancing carryover will be derived from training the athlete in their sport specific body position to directly oppose or resist the most exact line of pull, or direction of resistance that they will encounter when playing their full speed sport (8). Basically, we should be training each athlete according to the proper sport specific force vectors and optimal muscle activation patterns (8). End range hip extension strength and force generation for horizontal acceleration used in sprinting, soccer, football, and many other professional sports can be very important and few exercises currently focus on this concept. The barbell hip thrust is inherently different from other forms of closed chain lower extremity training modes such as the squat or deadlift due to the fact that it imposes a anteroposterior vector load rather than a superior inferior axial vector load. Research is now showing that this horizontal force training application can lead to increased sprinting speeds as well as other sport specific adaptations thought to mainly be obtained through axially loaded exercises (2). Anatomically I will focus mainly on the gluteus maximus muscle as it pertains to the barbell hip thrust, as this is one of the main muscles of interest in current literature when looking at strength, power, and injury prevention of the lower quarter. The gluteus maximus is a multiplanar muscle that has been proven to aid in knee and pelvic/ trunk stability. 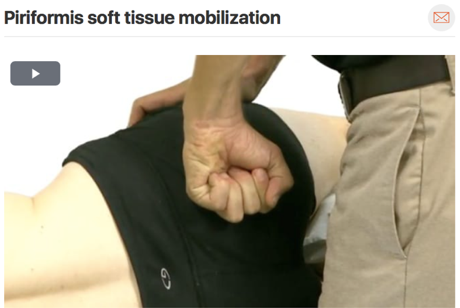 In Addition, it’s proper functioning has been shown to have a protective effect against many lower and upper extremity injuries and is a fundamental muscle required for all lower (and the majority of upper) extremity ballistic sport movements. The gluteus maximus has been linked time and time again to its role in the tibiofemoral joint’s frontal plane moment by the many articles published by Powers et al. A single gluteus maximus muscle can be further broken down into three activation subdivisions in the sagittal plane and two activation subdivisions in the frontal plane. These activation subdivisions have been shown to fire separately based on the specific task performed (11,12). This unique and separate muscle subdivision activation of the gluteus maximus has been studied with various tasks being assessed by a laser-based mechanomyographic monitoring technique. It was measuring the mean contraction time in subdivisions of the muscle, both in the sagittal plane (superior, middle, inferior) and in the frontal plane (medial and lateral) (11,12). These studies help us further understand how certain subdivisions of a large muscle can be functioning optimally in certain ranges of joint motion or during a specific part of a sports activity, and not in other ranges or parts. This helps shed light on the importance of the concept of vector specific muscle adaptations and training. It shows that certain portions of the same muscle can be functioning sub optimally at perhaps only one part of a sport specific motion, and that sometimes this depth of training specificity becomes vitally important if we want the whole muscle to work optimally, in order to best perform a high level integrated athletic movement. For Example, lets say a muscle may be working quite well with the hip in 90 degrees of hip flexion it does not mean that for the rest of the available range of motion it will continue to work optimally if it is never tested or trained in that range. Other muscles which should be addressed and studied with this exercise are the quadriceps, gluteus medius and minimus, adductors, hamstrings, tensor fasciae latae, as well as any other muscles attached to the pelvis aiding in its stability and force generation such as the obliques, psoas, iliacus, deep and superficial lumbar extensors, and rectus abdominis. It is clear that this is a multifactorial exercise, which will activate many other muscles besides just the gluteus, so it is good to keep all of these anatomical connections in mind. Using anatomical kinematics it is easy to see how this exercise could correlate to sport specific improvements and could be favored by athletes of various professional and collegiate sports. It is important to also think of the vast clinical implications of this exercise as it will be shown to be a viable option for lower extremity strengthening, in the case that there are limitation such as: an athlete who has pain with end range hip flexion, pain and sensitivity with axially loading of the lower extremities, is on weight bearing precautions, has knee flexion extension limitations, or is for some reason unable to strengthen in an upright position. Versatility and creativity is a tool worth its weight in gold when rehabilitating injured high level athletes and this is another example of a creative way to strengthen and train which has been shown to have sport specific carryover, with comparable if not better muscular activation, than many traditional axially loaded closed chain lower extremity exercises. Let me start with a very important side note. Many studies currently use EMG (Electromyography) testing to analyze muscle activation during different exercises and movements. There are a few misconceptions with this. Electromyography measures the amplitude of electrical activity (the sum of the electric potential differences) of all of the active muscle motor units during a selected exercise that can be detected by the electrode placement. EMG cannot be said to solely measure motor unit recruitment as it measures motor unit recruitment combined with motor unit firing frequency. EMG does not directly measure force or force production, although some research shows a linear relationship between the two when the muscle being tested is not under fatigue. Another complication is that EMG activity will increase as it picks up on increased intracellular action potentials given off with increasing muscular fatigue that can be misconstrued as increased muscle activation. Thus EMG amplitude can be safely said to be an overall measurement of motor unit activity in the muscles required for each tested movement. This makes it most appropriately used to help the professional correctly choose the exercises that target the specific muscles we are trying to train or that are needed for each sport specific movement. Extrapolating that muscle EMG results lead to the selected muscle histological hypertrophy, specific strength, force production, or functional gains would be erroneous as further longitudinal research or research focused on these sport specific outcomes as variables would have to be used to back this thought. We are now seeing studies which combine both EMG testing and sport specific functional movement pre and post testing in order to correctly correlate sport specific adaption carryover attributed to different training modes. The purpose of this first study, from 2015, was to compare the surface EMG activity of the upper and lower gluteus maximus, biceps femoris, and vastus lateralis between the back squat and barbell hip thrust, both dynamically and with a 3 second isometric hold. Thirteen trained women, mean age twenty-eight years old, performed an estimated 10-repetition maximums in the back squat and barbell hip thrust. The barbell hip thrust elicited significantly greater mean and peak upper gluteus maximus, lower gluteus maximus, and biceps femoris EMG activity than the back squat. There were no significant differences in mean or peak vastus lateralis EMG activity. Thus with this select population, the barbell hip thrust is a viable option for training the lower extremities which activates the gluteus maximus and biceps femoris to a greater degree than the back squat using an estimated 10RM load (6). Furthermore, because the knee is flexed during the barbell hip thrust as the hip is driven into full extension it is theorized that the hamstrings are put into a position of active insufficiency, which would lead to a greater muscular effort requirement from gluteus maximus to generate sufficient hip extension torque. However other synergistic muscles such as the adductors could also produce this torque. Another study used EMG to show that when testing maximal isometric hip extension torque at 90°, 60°, 30°, and 0° hip flexion angles the gluteus maximus EMG activity is lowest with the hip in 90° of hip flexion and highest with the hip in 0° of hip flexion which would correlate more closely to the thrusters line of resistance and movement than that of a traditional squat (17). Next, in 2016 a study focused on comparing the differences in upper and lower gluteus maximus, biceps femoris, and vastus lateralis EMG amplitude for the barbell, band, and American hip thrust variations. Again, thirteen healthy female subjects, mean age twenty-eight years old, performed 10 repetitions of their 10-repetition maximum of each variation in a counterbalanced and randomized order. The barbell hip thrust variation showed statistically greater mean gluteus maximus EMG amplitude than the American and band hip thrust variations, and statistically greater peak gluteus maximus EMG amplitude than the band hip thrust variation, but no other statistical differences were observed (5). Now that we see that these EMG studies support the use of the barbell hip thrust to activates the gluteus maximus and other lower extremity muscles, the next question is does this correlate to functional sport improvements? A pilot study consisting of twenty-six participants, mean ages twenty-two years old, with an athletic background were recruited to participate in this study. The participants were divided into four groups, consisting of the back squat, deadlift , hip thrust, and control group. They took part in training three times weekly for a total of six weeks. This training followed a condensed linear periodization model consisting of a two-week emphasis on hypertrophy, two-week emphasis on strength, and a two-week emphasis on power and showed promise in functional gains (2). Then in 2016 a formal study compared the front squat to the barbell hip thrust by measuring the sport specific outcomes of vertical jump, horizontal jump, 10m sprint, 20m sprint, hip thrust, front squat, and isometric mid-thigh pull. The study consisted of twenty-four male rugby and rowing athletes, ages fourteen to seventeen years old, who were assigned to perform in the hip thrust or front squat group with workouts twice per week for 6 weeks, for a total of 12 sessions. The front squat and barbell hip thrust group results were broken down further into 8 effect size groups ranging from “Most unlikely” (<0.5%) to “Most likely” (>99.5%) effect size based on a 90% confidence limit in order to qualify the true effect size. The between-groups results are as follows; both the vertical jump and 3RM front squat “Possibly” (25-75%) favored the front squat group. The 10m and 20m sprint times “Possibly” (25-75%) favored the hip thrust group and it is “Unlikely” (5-25%) that one intervention was better than the other for improving the horizontal jump (3). When looking at the barbell hip thrust within-group effects as they correlate to the functional sport specific tasks it is shown that barbell hip thrust has a “Very likely” (95-99.5%) beneficial effect for the 20-m sprint times and 3RM hip thrust strength and a “Possibly” (25-75%) beneficial effect for the 3RM front squat strength, vertical jump, horizontal jump, and 10-m sprint time (3). Overall these studies indicate that the barbell hip thrust does activate gluteal muscles but athletes that participate in vertically based sports such as basketball and volleyball may benefit from the front squat more than the barbell hip thrust. However, in sports such as sprinting, football, and other low driving acceleration sports it may be more beneficial for athletes to perform the barbell hip thrust, because of its carryover into horizontal acceleration. Also, from this study the barbell hip thrust does seem to increase front squat and vertical jump performance when looking at pre and post testing. Thus the hip thrust is still a viable option to increase front squat and vertical jumping performance when squatting is contraindicated or just as an adjunct exercise to reduce axial load on the spine. These studies favor the theory that the direction of the resistance force vector relative to the body does play a large role in performance transference, and that axially resisted movements such as the squat appear to transfer better to vertically based sports, and anteroposterior resisted movements such as the barbell hip thrust appear to transfer better to horizontally based activities such as the 20-m sprint (3). Let’s now walk through a possible progression for this exercise, but keep in mind this is very general and all training should be tailored to each individual’s sport function, athlete presentation, or stage of healing at the current time of training. Step one performing a subjective and objective evaluation, joint clearing, and other sport specific testing to make sure the lift is both sport specific, functional, and safe. Next, assess the athletes movement form without a bar, using a visual, verbal, and kinesthetic demo while simultaneously providing reasoning as to why certain body positions are important. Then progressing the athlete to a barbell hip thrust as shown in the accompanying video with this article and refer to the “Quick Look Movement” below for body positional cues and corrections. 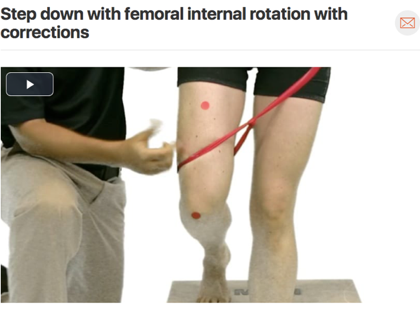 It may be pertinent at this point to correct movement faults and one of the most common is tibiofemoral adduction. To correct for this, especially with novice lifters, try the proprioceptive cue of an abduction band placed just above the knees. This has been shown in a 2017 squat study to aid untrained participants in the ability to achieve the muscle activation patterns required to promote neutral knee alignment and to resist medial collapse. In this study not only did this lead to neutral/correct tibiofemoral alignment but the addition of the band also increased gluteus max and gluteus medius muscle activity in the novice lifters and did not reduce the firing or change the form of the trained individuals (9). These phases may go fast but remember that this lower weight form is integral, as this lift will eventually be heavily loaded. If breakdown occurs with low weight, then it will most likely mean breakdown at higher weight, which may have larger negative consequences. Next, slowly add weight throughout the single or over multiple sessions. Starting weight can be based on the ease of the motion itself, squat, deadlift, or other lower extremity isometric and dynamic testing and measures. Now this is where training may start to become very sport specific and goal oriented. Questions that should be asked might be are we looking to gain speed of contraction, to train around pain, to retrain muscles in new ranges of motion, or teach new motor patterns? These concepts and goals will dictate if we progress to using such aids as bands on the bar to train certain concepts of muscle adaptation, or add in training for ballistic speed, or start to add in upper extremity motions. Another concept is to train for differing lower extremity positions adding hip thrust with femoral abduction, adduction, internal, external rotation, and varying knee flexion angles based on sport specific lower extremity positional strength within safe kinematics and reason. This thought of training athletes in sport specific lower extremity positions which are not kinematically perfect but still safe is a slightly odd concept which should not be taken lightly as I do not think putting joints and athletes at risk for injury is wise when training. However, it would be false to think that an athlete who is stable and strong in a single idealized position would be stable in the sport’s sometimes required unidealized body positions or movement patterns. Thus training towards these patterns or with differing lower extremity positions is not always a far off thought. Pushing the thought process up the chain, do we want to theoretically increase torsional stress on the trunk by performing the exercise single leg, with unstable hanging weights, with weight differences side to side, or on an unstable surface. Finally, I strongly believe after performing these strengthening exercises it is necessary to then put that newly activated muscle back into function. This laid out program is only one very brief version of what could possibly be done with each athlete and throughout this article it can be seen there are many benefits of the thrust movement if it is matched to the sport specific activity and trained with proper technique. Contreras, B, Cronin, JB, Schoenfeld, BJ, Nates, RJ, andSonmez, GT. Are all hip extension exercises Created equal? Strength Cond J 35: 17–22, 2013. Worrell TW, Karst G, Adamczyk D, Moore R, Stanley C, Steimel B, et al. Influence of joint position on electromyographic and torque generation during maximal voluntary isometric contractions of the hamstrings and gluteus maximus muscles. J OrthopSport Phys Ther. 2001;31(12):730-740. Wakahara T, Fukutani A, Kawakami Y, Yanai T. Nonuniform muscle hypertrophy: its relation to muscle activation in training session. Med Sci Sports Exerc. 2013;45(11):2158–2165. Robertson, DGE, Wilson, JM, and St Pierre, TA. “Lower extremity muscle functions during full squats,” Journal of Applied Biomechanics, vol. 24, no. 4, pp. 333–339, 2008. Morrissey, MC, Harman, EA, and Johnson, MJ. Resistance training modes: Specificity and effectiveness. Med Sci Sports Exerc 27: 648– 660, 1995. McAndrew D, Gorelick M, Brown J. Muscles within muscles: a mechanomyographic analysis of muscle segment contractile properties within human gluteus maximus. J Musculoskelet Res. 2006;10(01):23– 35. 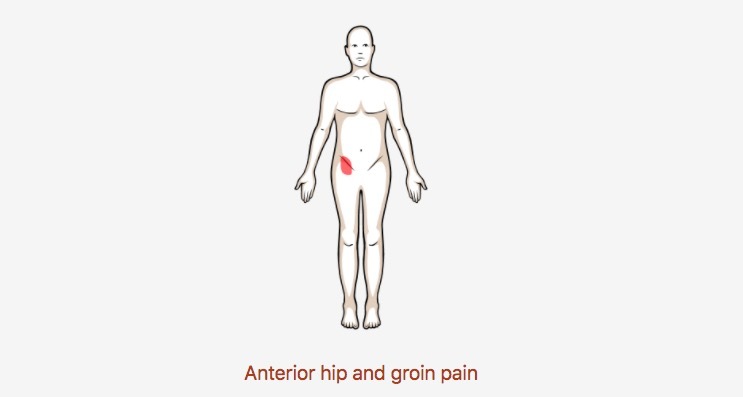 Lyons K, Perry J, Gronley JK, Barnes L, Antonelli D. Timing and relative intensity of hip extensor and abductor muscle action during level and stair ambulation. An EMG study. Phys Ther. 1983;63(10):1597– 1605. Gullett, JC, Tillman, MD, Gutierrez, GM, and Chow, JW. A biomechanical comparison of back and front squats in healthy trained individuals. J Strength Cond Res 23: 284–292, 2008. Foley, Ryan C.A. et al. “Effects of a band loop on lower extremity muscle activity and kinematics during the barbell squat.” International Journal of Sports Physical Therapy 12.4 (2017): 550–559. Print. Contreras, Bret. Force Vector Training (FVT). The Glute Guy, 1 July 2010, Bretcontreras.com/load-vector-training-lvt/. Contreras, B, Cronin, J, and Schoenfeld, B. Barbell hip thrust. Strength Cond J 33: 58–61, 2011. Contreras, B, Vigotsky, AD, Schoenfeld, BJ, Beardsley, C, and Cronin, JA. Comparison of gluteus maximus, biceps femoris, and vastus lateralis EMG activity in the back squat and barbell hip thrust exercises. J Appl Biomech 31: 452–458, 2015. Contreras, B, Vigotsky, AD, Schoenfeld, BJ, Beardsley, C, and Cronin, JA. A Comparison of Gluteus Maximus, Biceps Femoris, and Vastus Lateralis Electromyography Amplitude for the Barbell, Band, and American Hip Thrust Variations. Journal of Applied Biomechanics, 32, 254-260, 2016. Contreras, B, Vigotsky, AD, Schoenfeld, BJ, Beardsley, C, and Cronin, JA. Comparison of gluteus maximus, Biceps Femoris, and Vastus Lateralis EMG amplitude in the parallel, full, and front squat variations in resistance trained females. J Appl Biomech 32: 16–22, 2016. Contreras, B, Vigotsky, AD, Schoenfeld, BJ, Beardsley, C, McMaster, D, Reyneke, J, and Cronin, J. Effects if a six-week hip thrust Vs. Front Squat resistance training program on performance in adolescent males: A randomized controlled trial. Journal of Strength and Conditioning Research. 31(4)/999–100, 2016. Contreras, B, Zweifel, MB, Vigotsky, AD, Njororai Simiyu, WW. Effects of 6-week squat, deadlift, or hip thrust training program on speed, power, agility, and strength in experienced lifters: A pilot study. Journal of Trainology 6:13-18, 2017. Studies show that patients who have had a total hip replacement have a higher risk for low back pain one year after the surgery. Why is this the case for total hip replacements and not total knee replacements? In today’s episode of Mentoring Minutes, Dr. Marshall Lemoine will be discussing different strategies to help regain patient function after total hip replacement surgery!